Recently Gary Krysler asked if I could help add a “find a member” tab to the WCR Facebook Page. It was quite easy to do, and after seeing requests within the comment stream (as well as tweets) for something similar, I thought I’d give step-by-step instructions on how to do it for your organization. It’s really pretty easy and even someone with no coding experience whatsoever should be able to handle it. Step 1: Create the graphic. Step 2: Upload the graphic to an online server. If you have a blog, then the easiest way is to use the image upload feature of your blog to store the image online. Step 3: Note the URL of the image. Step 4: Note the URL of the landing page. For the WCRs, the “find a member” landing page is: http://www.wcr.org/FindAMember/tabid/58/Default.aspx. Note your own landing page. Step 5: Add the Static FBML application to your Facebook Page. The static FBML plugin makes is super easy to add a new tab with text (and images) to your page. To add the app to your page, follow the above link and follow the simple instructions to add it to your page. Step 6: Insert the appropriate code into the Static FBML application. There’s no need to actually write any code here… It’s all cut-and-paste. The process is pretty straight-forward. 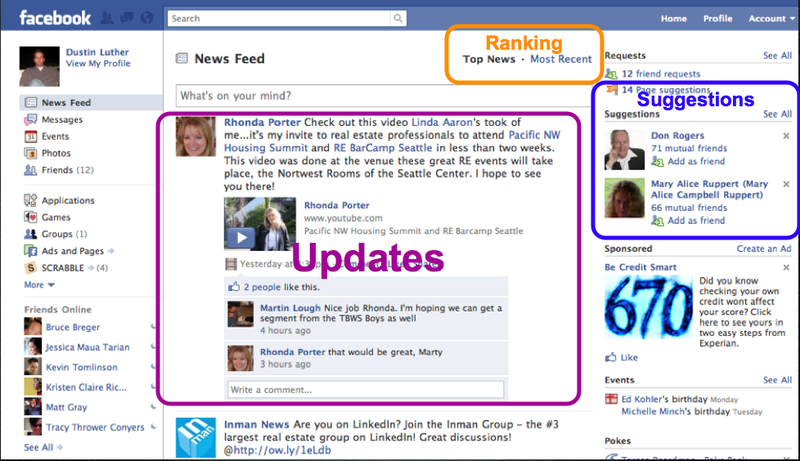 Navigate to your Facebook Page and click the “edit page” option. Then click the edit option for the FBML page. At this point you should see a screen that looks like a blank version of the image to the right. Now just copy and paste the following code EXCEPT replace WCR’s image URL and landing page URL with the URLs you noted in steps 3 and 4. Remember to add a title (probably “find a member”), click “save” and you should have a new tab for your Facebook fan page! If you have any questions, don’t hesitate to hit the “reply” button in the header of this post and ask a question. Last Friday one of my companies, Spinnio, ran a live video chat with David Arquette at his Propr Clothing store that was hosted by Shira Lazar. It was so much fun with the two of them (and the many guests that walked into the store during the event) that it’s inspired me to do something similar at NAR this year. My hope is to create a place to capture some of the most interesting banter of a conference… i.e. the hallway conversations…and then invite you’all to take part. So, I recruited a partner in crime with the plan being that we’re going to stream live video conversations to Spinnio.com throughout the weekend (starting at RE BarCamp San Diego). And if you want to take part in our conversations, I’ve set it up so you can ask questions and leave comments directly on the Spinnio page using either Facebook or Twitter. In other words, we’re not only going to do mobile video, but we’re bringing in the two most popular social networks so you can take part from anywhere in the world. And finally, if you know someone who should get some time on Spinnio (maybe you! ), let me know. As I “confirm” guests for specific times, I’ll update this post!